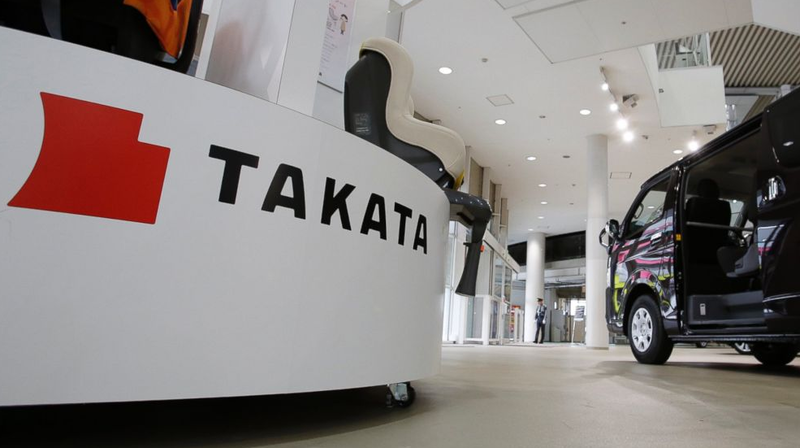 On Tuesday, Takata announced that it was going to pay the $70 million fine levied against it by NHTSA. Of course, the fines could rise to as high as $200 million if Takata fails to phase out the airbag inflators that use ammonium nitrate, within five years. NHTSA asserts that the ammonium nitrate propellant was too volatile and caused metal fragments to spray the driver when the airbags deployed. As a result, eight people died and 40 million vehicles are under recall. When the safety issues surfaced, NHTSA accused Takata of noncompliance and misrepresenting data. Takata threw the blame and onus for recalls back on the auto manufacturers. Yesterday Honda announced that it would no longer be using Takata as its source for airbag inflators. Honda made their decision after learning that Takata may have “misrepresented and manipulated test data for certain airbag inflators.” In short, Honda is accusing Takata of lying. That’s never a good sign. Neither is Takata stock dropping 20 percent after Honda’s announcement. Honda’s announcement severs a business relationship that has lasted more than 50 years. Honda’s decision has huge future implications for Takata. And (as if it couldn’t get worse) today, Mazda is following Honda’s lead. Mazda has announced that they, too, are looking elsewhere for airbag inflators. Mitsubishi and Subaru’s parent, Fuji Heavy Industries, will also most likely follow suit. Toyota has also stated they are choosing a new airbag supplier. Nissan is waiting to see what U.S. regulators decide before acting. All of this over the ammonium nitrate propellant. And despite the proof—millions and millions of recalls and data that says the chemical was not a great choice—Takata still defends its use of ammonium nitrate and the testing data. That’s the part that boggles my mind. Clearly, the chemical was too volatile to use as a propellant for airbags. And Takata isn’t even apologetic about it. I guess, one does reap what one sows. Yesterday morning on the southbound 805 freeway in San Diego, a young woman managed to hit a guard rail and drive said guard rail completely through her car, end to end. And she only received minor injuries. Of course, this may not be plain dumb luck. The woman was booked by police on suspicion of driving under the influence of alcohol. Yikes.